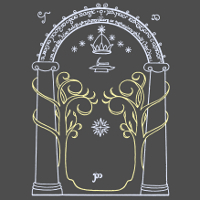 The Doors of Durin at the western entrance to Moria, including a representation of the Two Trees. 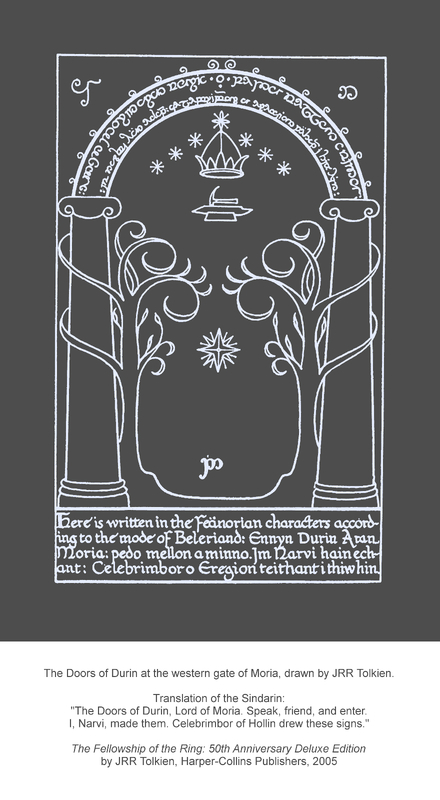 'And there is the Tree of the High Elves!' said Legolas.